A new era began in Dallas this season. 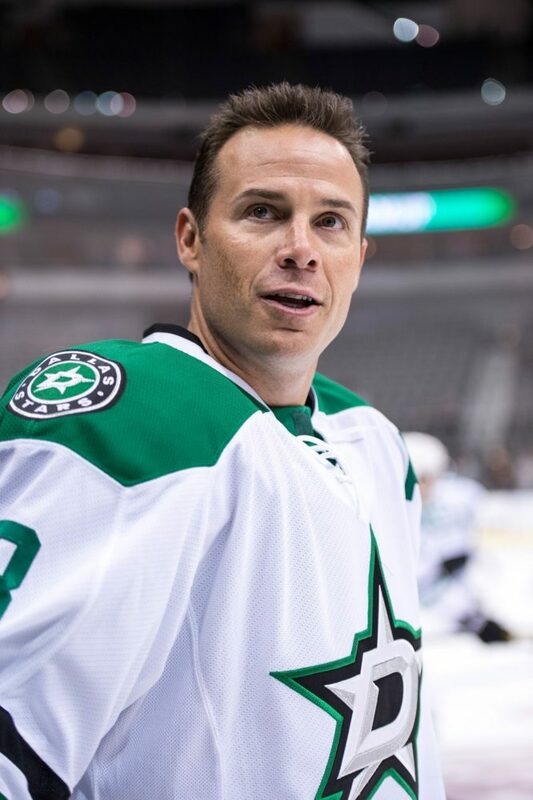 It is led by a motivated owner, experienced and respected management and an exciting young roster, all working to make the Dallas Stars a formidable name deep in the heart of the NHL once again. The Stars’ offense improved this season in areas such as goals per game, shots per game, five-on-five production and faceoffs. Special teams were another story, especially with the power play struggling for nearly the entire season. The forwards were split in two articles for grading. The first addressed Jamie Benn, Rich Peverley and Antoine Roussel among others. And now, the second part of a look back at the Stars forwards for the 2013-2014 season. If there is a score between A+ and A, Seguin would get that for this season. The only reason he falls beneath Benn is because he seemed to fade a little in playoffs while Benn was Dallas’ best player. The Stars got more than just a potential superstar when they traded for Seguin. They got an instant superstar. He was given the room and role to spread his wings and take over games with his blazing speed and laser-guided shot, and that’s exactly what he did. Seguin set career highs in goals, assists, points, shots, game-winning goals and power play points this season. He led the Stars and ranked among the 10 best in the league in each of those categories. He led all Stars forwards in average ice time with 19:21 per game in the regular season. He struggled with faceoffs in his first NHL season at center, winning only 41 percent, but there is still time to grow in that department. Though the Stars’ power play struggled this season, Seguin became the main threat with the man advantage. Setting up along the left wing boards, the Stars looked to him for one-timers or centering passes from that position. His back-checking and defensive zone play was strong and motivated. A small drawback was that there was a slight discrepancy in his play at home versus on the road. This was his first season in the prominent role against the opposition’s best, so it is safe to expect that he will get better with time and experience against the Western Conference defenders. The Stars and their fans got more than they could dream of in Seguin. He is the most electrifying player the Stars have had since Mike Modano, and he is here to stay for years to come. And he is only 22. Eakin was the center and leader of a makeshift second line that turned out to be one of the best lines of the season for the Stars. Though he seemed to be softer on the puck and more careless with it than last season, he still played a strong role with more ice time and responsibility this season. Eakin’s average ice time went up over two minutes per game compared to last season. He finished the season tied for fourth on the team in points with 35. Though a more ideal third center, Eakin did well on the second line with Ryan Garbutt and Antoine Roussel. He struggled on the faceoff dot, winning only 47 percent of the draws, but he was matched up against tougher competition this season. His Corsi rating was fifth-best on the Stars and he faced the fifth-toughest competition in terms of the opponents’ ice time. Eakin’s performance dipped the playoffs, though. He was very productive with five points in six games, but his turnovers and lower Corsi rating hurt him. Eakin’s average ice time put him third among the Stars’ forwards, further displaying his increased role this season, and he didn’t disappoint. Nill’s offseason moves will dictate whether or not he remains on the second line or is moved to the more ideal third line, if he gets re-signed at all. The most exciting and heralded rookie in recent Stars memory had a predictably up-and-down first season in the NHL. He did better than expected considering the hurdles he faced as an 18-year-old in an unfamiliar country, league, ice rink, team and system. His production fell safely between optimistic and pessimistic expectations among analysts and fans. Although he fell short of a 20-goal campaign and a run at a Calder nomination, Nichushkin had a decent rookie season. He struggled early on as it took 13 games for him to register his first NHL goal. He was a healthy scratch four games into the season, but he found his stride shortly after. He bounced back and forth between the first and fourth line mostly this season, but he spent a majority of his time with Benn and Seguin, a line which should haunt the league for years to come. Nichushkin showed glimpses of his tremendous speed and strength on the puck throughout the season. Early on, Nichushkin kept the puck on his stick too long as he repeatedly attempted to dangle his way into the offensive zone only to turn the puck over. Over time, he learned how to distribute the puck better and be smarter with the puck in the offensive zone in addition to better defensive zone exits. His defensive game was really strong as long as his head was in the game. Nichushkin ended the season with 14 goals and 34 points in 79 games, good for sixth on the Stars. His possession numbers were decent and his plus-20 was only surpassed by Benn on the Stars. He should see more time on the top line and the first power play unit next season. Nichushkin’s first season may have been inconsistent, but the glimpses of greatness, added experience and the fact that he was only 18 to start the season provides hope for a great future. The biggest surprise of Garbutt’s 2013-2014 season was easily his increased production. Yes, he was a part of the pleasantly surprising second line that was used in a strong counter role, but Garbutt showed he can make opponents pay with his speed and shot just as well as he can make them pay with his body. His speed was more evident this season than his previous two years in Dallas. Quickness alone created a handful of his 17 regular season and three playoff goals. Garbutt had a tendency to register points in bunches this season. He would go about four games without a point and then tally two or three in the next game before going on another four game slump. Of the 21 games in which he registered at least a point, he registered two or more points in nine of them, and five of the other games were on consecutive nights. The biggest setback against Garbutt is knowing how to play with an edge. His spear on Corey Perry and ensuing game misconduct in Game 5 of the playoffs hurt the Stars more than the score indicated. His hit on Dustin Penner that resulted in a suspension during the regular season was unnecessary and easily avoidable. He took too many penalties in the offensive zone and many were at bad times in games throughout the season. He did well in ending the season third on the team in hits and second in penalties drawn, but there is room for improvement. Other than Nichushkin, Chiasson had arguably the most up-and-down season of the Stars forwards. It was impossible for Chiasson to maintain the pace he had in his first trip to the NHL at the end of last season. Six goals and seven points in seven games is impossible for anyone to maintain, let alone a rookie. He kept the hot streak going with a four-game point streak to start this season, including goals in three straight games. The rollercoaster kicked in as he endured elongated slumps in November and January. Flu-like symptoms led to Chiasson losing a lot of weight and strength, and he slumped in the first few weeks of 2014. The Olympic break helped Chiasson rest, recover and add weight, and he jumped back into the lineup with more consistent production and stronger all-around play. Chiasson struggled near the end of the season as he failed to register a point in the final seven regular season games and the final four games of the playoffs. Though he saw time in the top six last season and he played a few games with Benn and Seguin this season, he was mostly kept to fourth-line minutes in 2013-2014. Chiasson’s terrible -21 plus/minus rating was one of the worst in the league. He did strengthen his role as the net-front presence for the Stars. Whether on the power play or even strength, Chiasson was best when he was setting screens, deflecting point shots and pulling off high tips in the slot. More consistent play in his sophomore season should lead to better results for Chiasson. Fiddler was confined to a fourth-line role for most of the season. 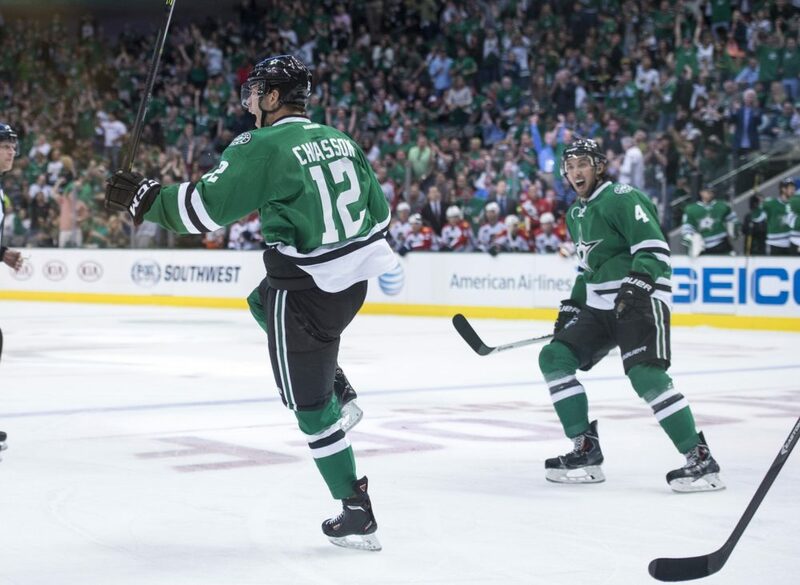 His 23 points may not seem like much, but he did what the Stars brought him to Dallas to do. He won faceoffs, led the way on the forecheck and penalty kill and occasionally chipped in with some offense. Fiddler won 52% of the faceoffs he took in the regular season and led the team with a 60 percent success rate on the draw in the playoffs. He was on the ice during a PK more than any other Stars forward and registered two short-handed points. Fiddler drew the eighth most penalties on the team while averaging 13:17 ice time this season. He was heavily deployed in the defensive zone due to his strong faceoff percentage and reliability, but he ended up with the lowest Corsi rating on the team. Fiddler didn’t have the best season, but he played well when the Stars needed him down the stretch to help the team reach the playoffs for the first time since 2008. Whitney’s second season in Dallas was a resounding disappointment. Last season, the Wizard spent time on the top two lines and was very effective on the power play, but this season was a major digression for the 42-year-old. He endured one of the worst offensive seasons he has had in the past 11 years. Compared to seasons in which he played at least 60 games, his 32 points this season were the lowest of his career. Whitney clearly lost a step as he was constantly beaten to loose pucks and overtaken on rushes. His passes were not as crisp or accurate, and he struggled to create anything on the power play. He averaged just under 14 minutes of ice time per game, his lowest in over 15 years. Whitney spent most of the season on the fourth line and was even scratched for Game 6 of the Stars’ first round matchup against the Anaheim Ducks. He ended up with the worst Corsi rating among Stars forwards in the playoffs, but his leadership and experience were helpful for a team made mostly of young players. In the end, the lack of production and a justified decrease in ice time spelled the end for the veteran’s time in Dallas.